SARAKA’s lightweight telescopic conveyor belts TTB 110 and TTB 165 complement the area between long telescopic chutes and concrete pumps. In addition, we produce a 5m solid dismantling belt for full trailers, which allows the payload from the trailer to be unloaded into the towing vehicle and delivered to the site where the combination would be difficult or even impossible to reach. This results in significant savings in transport costs and transport time. 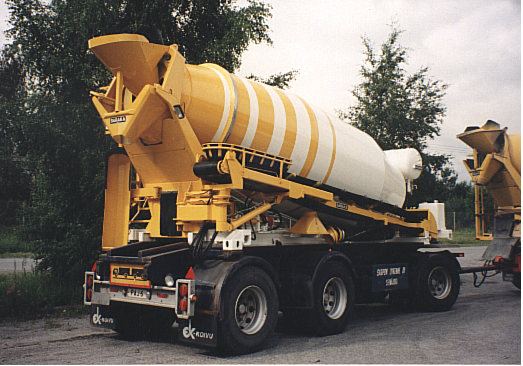 SARAKA LSB-B serie truck mixers with the slim design are optimal for use with accessory like concrete conveyor, which demands space on side to the drum. 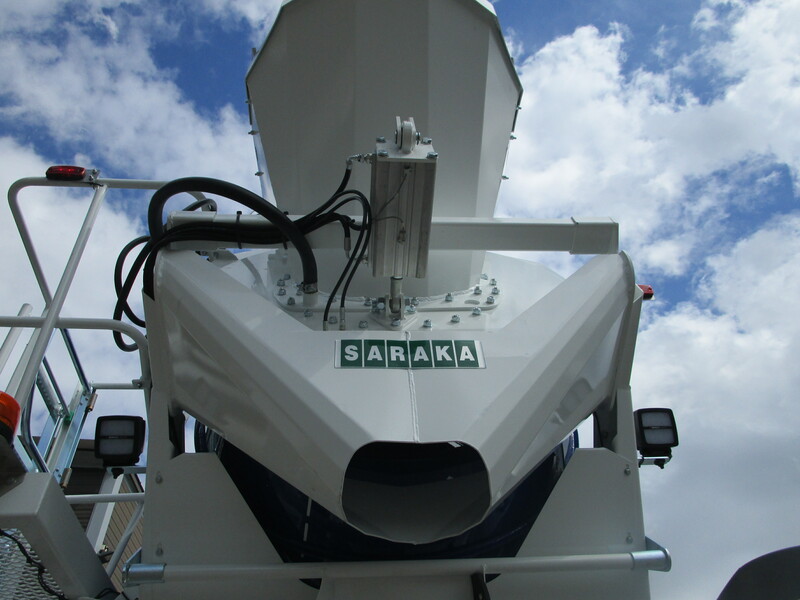 The SARAKA TTB 110 telescopic conveyor, combined with the SARAKA concrete mixer, provides an excellent payload. The belt’s operating range behind the truck is more than 230 degrees. Thanks to its structure, it can be quickly opened and placed back into the transport position on the side of the mixer. 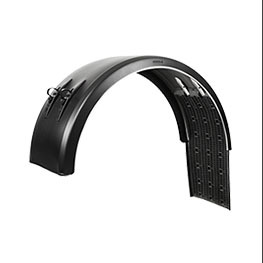 The transport-folded belt ensures a combination of low center of gravity, thus increasing vehicle control. The long reach SARAKA TTB 165 conveyor combined with the SARAKA light weight mixer provides the best payload in it’s class. The conveyors operating range behind the truck is more than 230 degrees. The slim design of SARAKA LSB-B serie mixer brings the loading funnel at same level with the folded conveyor at rear, thus makeing it easy to load at any batching plant. 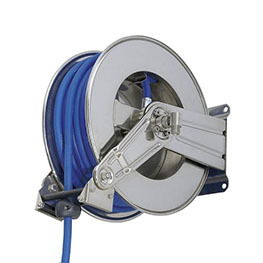 To achieve the best payload, the design of the telescopic belts has a well-defined strength-to-weight balance. The light, open and rigid structure of the belt conveyors facilitates their maintenance. All the functions on the belts are fully hydraulic. 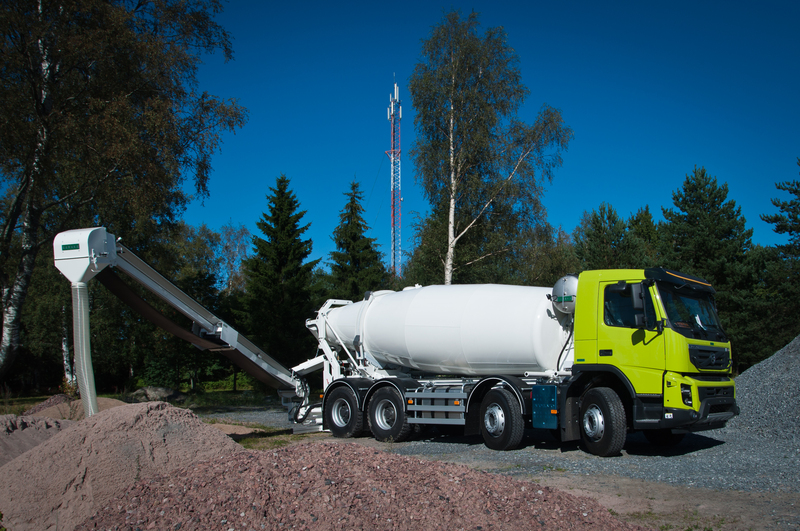 Detachability by quick release lets the operator to attach/detach the conveyor in only few minutes, thus giving extreme possibility to optimize payload when serving concrete pumps. SARAKA also responds to customer needs with customized solutions. 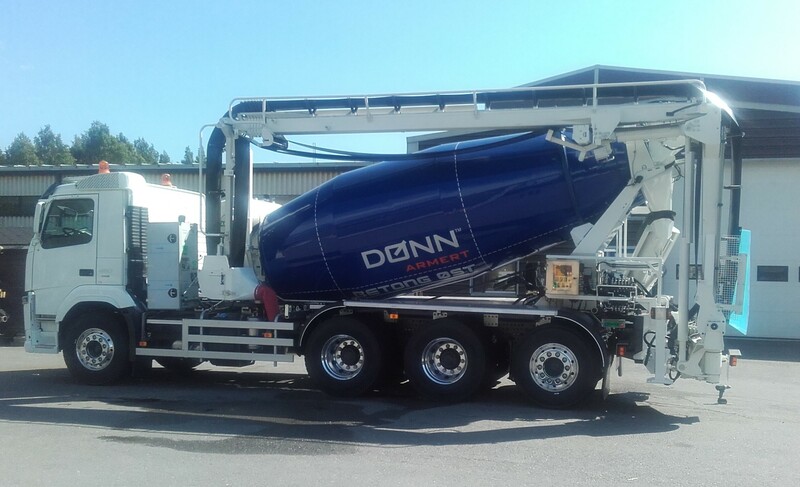 For example, we manufacture truck-based low height mixers with conveyor belt for underground works and mining use. 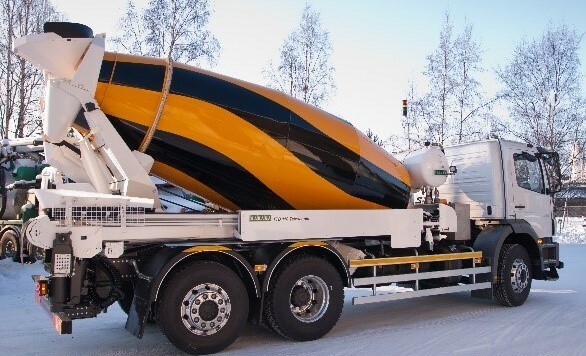 All SARAKA mining and tunnel vehicles are always as option available also with 400V or 1000V Plug-In hybrid. 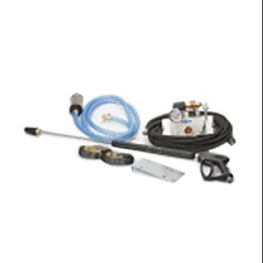 Many kind of special solutions has been innovated to satisfy needs raised among our customers, i.e. fixed lenght conveyor to move the payload from trailer to towing vehicle.